I wish I’d heard about this product two weeks ago. 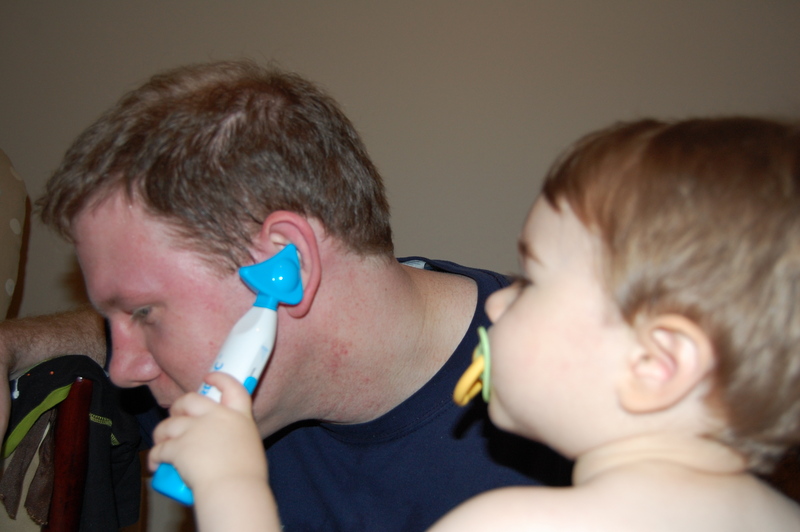 My one year old son just got ear tubes last week after months of battling fluid and ear infections. There were times when I would massage his ears and I could tell it really calmed him. I’m a believer in this product even without having used it. I know he’s probably going to continue having fluid and possibly infections and I’m positive the EARDOC will help him!! Thanks for the post! that is amazing and i love how you write thank you!! 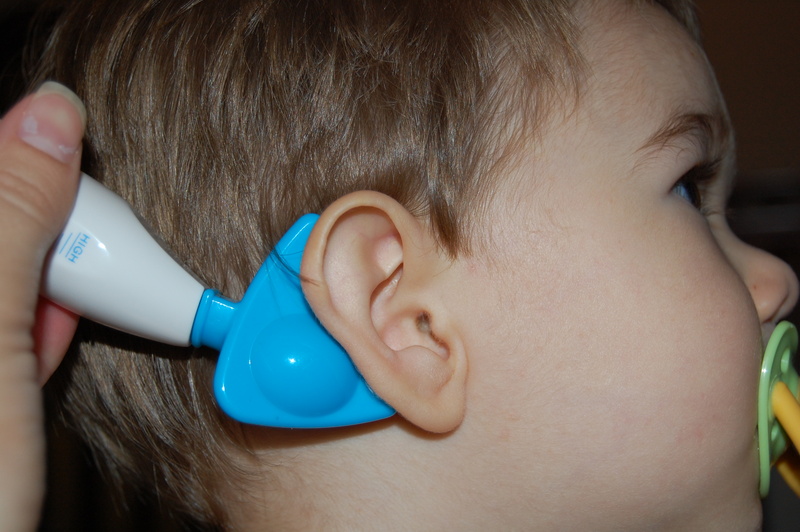 I’d love one because my 11 month old has had a persistent ear infection for about a month now. Like you I am not a fan of antibiotics but we have no other way of clearing this up. I’m also following you on Twitter ( that is how I knew about the giveaway) and have tweeted about this post. My Twitter username is stupidclever. 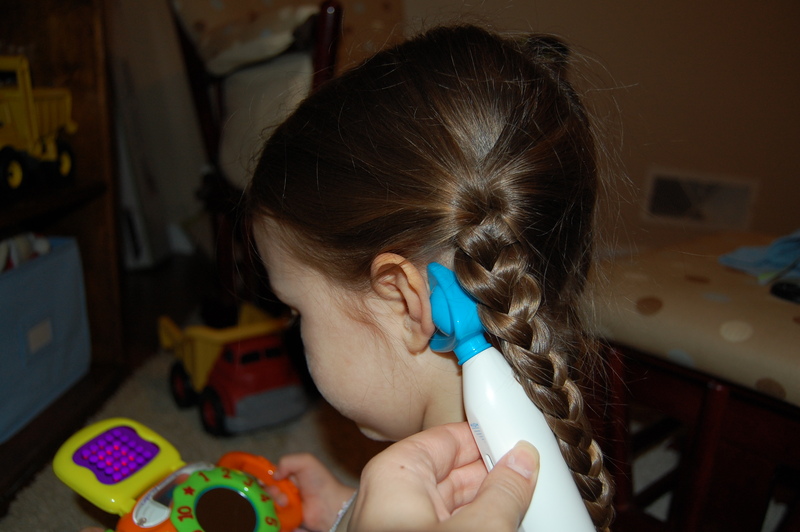 I had a lot of ear infections as a child, and I’d love anything that could spare my daughter the pain I went through. We are on ear infection #6! I will be looking into this product before we try tubes. I just discovered that this product exists (via Twitter).. and I’m convinced that an angel might have contacted me. I am a 29 year old woman, and I’ve had earwax issues my entire life. Seven months ago, I realized I was completely congested and couldn’t hear out of one ear, but I just assumed that Debrox drops would take care of it. Finally, after five months, I went to a clinic where I was told that I had a middle ear infection and I was given a round of antibiotics. It didn’t clear it up. Then I broke down and made an appointment with an ENT who told me that I have fluid build up behind the ear drum in both ears. I was given a round of steroids to take, which I just finished up. No luck. Essentially, the doctor told me the steroids wouldn’t work, and I would probably have to have surgery to get ear tubes. Of course, I haven’t had any improvements. I didn’t have too much of a problem with the idea of the surgery until I finally googled the cost and almost died when I saw that it might cost as much as (or more than) $2000! I’m terrified now because I’m unemployed, uninsured, and can barely afford another doctor’s appointment let alone the surgery that will be essential. I don’t know what to do, but I can’t live with not hearing properly anymore. Anyway, thank you for letting me vent, and I would like to enter the giveaway. I’m scouring the internet for information on this product. Is it really too good to be true? I have never seen this type of product before. 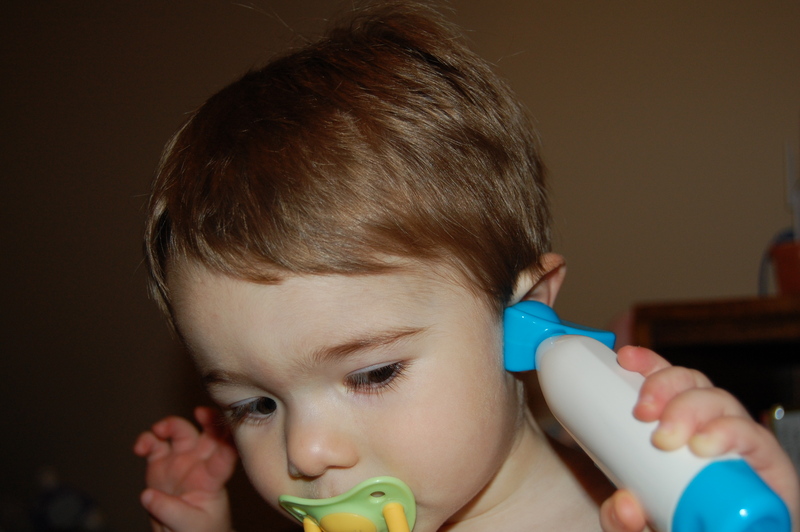 My youngest son always gets his colds moving to his ears. I will certainly look into getting one of these. I haven’t seen them in the UK but I am sure I can find a supplier. Anyone actrually try this product? My 2 year old is on his 3rd round of antibiotics in 6 weeks. I would LOVE to try this product!!! is a fruit with strong anti-oxidant components which will help to eliminate toxins inside the body and gradually cure acne from inside. There are many effective ways to get rid of pimples fast. I would love to have one. nothing has worked. My son keeps getting ear infections and all the docs want to do is give antibiotics. I’m fed up with their response with no other solutions. I’d like to try this if possible, please!! !